We’ve all experienced it…you come around a corner, or turn onto a street, and you see it…too late…a POTHOLE! You brace for impact as it rocks your body and your car…ouch! As roads go through a constant process of freezing, thawing and heating up, and then freezing again through the year, it leads to cracking, and when you add water to the mix, it’s a perfect recipe for potholes. It’s bad news for cars, though, because potholes can damage your tires, wheels and even your suspension. Here are some tips on how you can avoid them or at least minimize the damage – as well as what to do when you can’t. Sometimes you just don’t have a choice – you’re going to have to drive through a pothole. The Michigan DOT recommends slowing down as you approach the pothole, then letting off the brakes before you hit it. This helps your vehicle absorb the impact better. And take the pothole with your wheels straight, because hitting it at an angle can cause additional damage. The good news is, you probably won’t have to pay for repairs – or the full amount, at least – if you have collision coverage. That typically will cover pothole damage, subject to your deductible. But you should check with your independent insurance agent to discuss your specific situation. 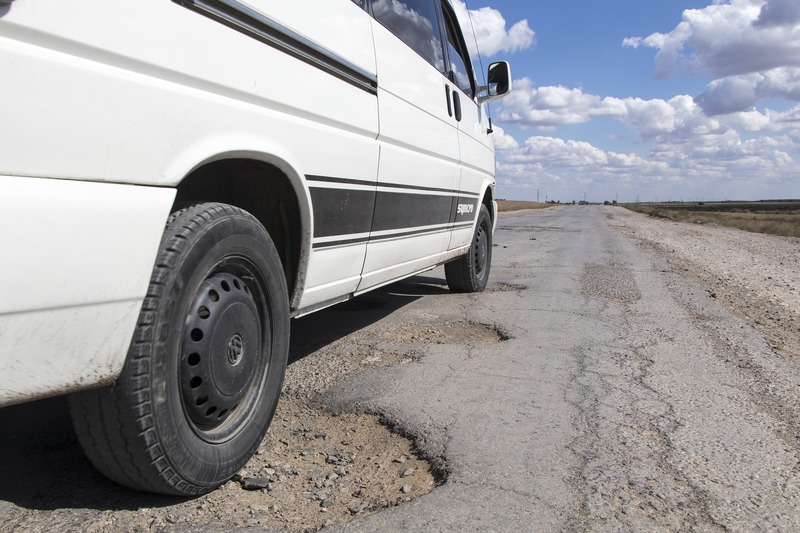 Prevention is the often the best medicine – and that holds true for the damage potholes can cause. So use caution on the roads, be on the lookout for hazards, and follow the tips above to minimize the impact potholes have on you this season!